We’d love your help. Let us know what’s wrong with this preview of The Final Book by SW Hammond. In the beginning there was love. The Goddess of Life in an elated romance with a beloved mortal. Her sister killed him. Their combined actions ripping a hole in destiny and plagued mankind with an age of unprecedented corruptio Multi-cultural, multi-historical, and spanning man's faith across time, The Final Book is a controversial and blasphemous last chapter of humanity. To ask other readers questions about The Final Book, please sign up. Published by Surf Star Media, The Final Book: Gods is S.W. Hammond’s first foray into an enticing world of gods and mortals. Spanning four millennia of mortal interaction with the divine, the story follows a path that will be both familiar to Assassin’s Creed fans and at the same time something all its own. For centuries members of the Greek pantheon have found themselves stranded on Earth after a childish argument between sisters causes an upheaval among the Gods. 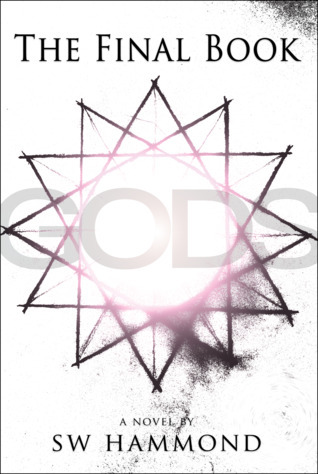 As a result of one brash actio Published by Surf Star Media, The Final Book: Gods is S.W. Hammond’s first foray into an enticing world of gods and mortals. Spanning four millennia of mortal interaction with the divine, the story follows a path that will be both familiar to Assassin’s Creed fans and at the same time something all its own. For centuries members of the Greek pantheon have found themselves stranded on Earth after a childish argument between sisters causes an upheaval among the Gods. As a result of one brash action, mankind is thrust into an age of unprecedented corruption and greed of which the Gods are powerless to circumvent. Flash forward to the late 1960’s and Zeus is reaching the culmination of his work on Earth; Project Genesis. Using technical knowledge gained over the centuries, he has constructed a machine that can create a memory link between a person in the present and a past life. Now all he needs is the right person for the job, and in USAF pilot Martin Akadian he believes he has found him. But even the great King of the Gods is not infallible and what follows is an epic tale of loss and redemption that could spell the end for mankind. The Final Book: Gods is a story told in three distinct parts, the earliest set 4,000 years ago around Mesopotamia and the latest in modern-day America. Hammond does a great job of interweaving these different stories in a manner that both makes sense and doesn’t compromise the narrative. The book easily glides between each era, unfolding the story in a manner that makes it easy to read and understand. Unfortunately it is this fluidity of storytelling that really makes the court document pieces stand out. They feel completely out-of-place, as they are written in a style entirely at odds with the rest of the book, though their importance to the overall story cannot be discounted. Thankfully the rest of the novel is written to a high standard, and these documents are short enough that they shouldn’t cause the reader to put the book down indefinitely. A further minor issue I had with the book was the fact that all the characters were practically perfect; Each is introduced with reference to their beauty or intelligence. Of course each of the characters is supposed to be one of the ancient Gods, so some of that might be forgiven but it certainly stood out as something that grated throughout the book. It seemed the female characters defining trait was their beauty while the males frequently, especially Zeus/William, discussed philosophy with ease. Beyond this however, each character stayed true to the mythology upon which they were based: Hera was vengeful, Zeus was frequently unfaithful, but The Final Book: Gods does take the interesting route of showing them trying to overcome their past indiscretions. In their personas of William and Pom, Zeus and Hera appear more like a loving couple than they were in the old myths, while Andi and Chloe seem to have put the incident that accidentally caused Christianity behind them. At its heart, The Final Book: Gods takes a very interesting view of religious development and as a result has a strong message to put forward. In a similar manner to Becky Chambers’ A Long Way to a Small Angry Planet the book takes a negative view of organised religion. It is perhaps for this reason that the publisher and author describe the book as “a controversial last chapter of humanity.” Should readers be able to get beyond this ‘controversial’ theme they will find an extremely well written tome that certainly deserves a place on any bookshelf. What’s more, S.W. Hammond has revealed that ‘Gods’ is intended as the first part in a trilogy of The Final Book titles, so there’s plenty more to look forward to in the future. Such a great read, loved the story and the characters. Would love to read more, please write more !!!! Also please consider getting this on TV. Recommends it for: anyone thinking something just doesn't seem right in society. I may be a bit biased, but this book will always hold a special place. It took over 6 years to write and a lot of sacrifice. It's not perfect, but I'm certainly proud of it. I hope William, Pom, Ana, Josh, and Cloe haunt you as much as they've haunted me! The mingling of Titans, Gods, and mortals; threads time, souls, faiths, myths and legends. From ancient Mesopotamia through present; rebirth and ascension through Sumerian, Greek, and Egyptian deities; galactic warfare and rebellion; genesis and anima; the Gods engage and intervene in the future of mortals and themselves. Written in the form of three interspersed books with artifacts of history and love letters; SW Hammond’s debut novel is an epic story with exquisite prose and the depth and scop The mingling of Titans, Gods, and mortals; threads time, souls, faiths, myths and legends. Written in the form of three interspersed books with artifacts of history and love letters; SW Hammond’s debut novel is an epic story with exquisite prose and the depth and scope of meticulous research. Well written, interesting characters and perspective on the Greek Pantheon and religion in general. Not my favorite but I appreciate the thoughts that were explored. The Final Book: Gods was a great story about gods, humans, romance and the fall of humanity. However, the religious connotations and history mean you need to have a decent grasp of religion especially that of the Greek gods so it did lead to a little Googling on my part. But for the most part it was a good story. I continue to think about this story, the characters really stick with you. I want more! I loved the letters between Cloe and Josh, they made me cry! Transmigration was my favorite chapter--completely nails what's wrong with our society. The timeline shift back to ancient Mesopotamia was original as well. Never read anything like it! Highly recommend. The Final Book: God is the debut novel by Goodreads author SW Hammond. I was given a copy in exchange for an honest review. I can start out by saying that the synopsis of this book caught me immediately; it is well written and immediately compelling. I enjoy stories with a basis or core laid in mythology, and the Greek myths have always been my favorite, so I had high hopes for this story. This book does not disappoint!! Like the synopsis the entire story is well written, well detailed and constr The Final Book: God is the debut novel by Goodreads author SW Hammond. I was given a copy in exchange for an honest review. I can start out by saying that the synopsis of this book caught me immediately; it is well written and immediately compelling. I enjoy stories with a basis or core laid in mythology, and the Greek myths have always been my favorite, so I had high hopes for this story. This book does not disappoint!! Like the synopsis the entire story is well written, well detailed and constructed. With three central time periods shifting back and forth the story coves the ages, and shows the grand compass of the stage of events. Characters are well developed and very enjoyable. I found myself quickly trying each character with its Greek mythology counterpart. Hammond takes great care in incorporation even the smallest details for the Greek myths into the foundation of his characters and I often found myself smiling with the ease of falling into this version of the world from Gods, and Titians to Oracles. The story like I mentioned is well developed and is well paced to cover all the elements the author is seeking to include and explain. It covers a surprising amount of topics from theology, cloning, the struggles of love, and justice. Overall I really enjoyed this story; it is something different in the current tides or retellings, and remakes. I would recommend this to anyone who enjoys a good story with solid characters looking for something out of the norm. I'm not going to give a rating for this book because I don't think it would be fair (or accurate). This was a case where the book just did not work for me and I wasn't able to finish the novel. The story started off interestingly enough but I couldn't get into it and I felt like there was a lot going on for me. I think that the author actually did a really good job of taking the Greek mythological character and maintaining their personalities, even including little details. I think the reason th I'm not going to give a rating for this book because I don't think it would be fair (or accurate). This was a case where the book just did not work for me and I wasn't able to finish the novel. The story started off interestingly enough but I couldn't get into it and I felt like there was a lot going on for me. I think that the author actually did a really good job of taking the Greek mythological character and maintaining their personalities, even including little details. I think the reason this novel didn't work for me was because there was just a lot going on. From cloning to theology, this book talks about everything. For me, that was a bit too much to handle. However, I want to mention here that this novel has gotten great reviews on Goodreads, reviews that will probably be more accurate. If you like Greek mythology and are looking for something deep and out of the norm, then this is the novel for you! Sean William Hammond is the author of The Final Book: Gods and The Mixtape Manifesto: A Pop Culture Confessional . He is also a freelance writer contributing to music zines, adventure and lifestyle magazines, and new media technical websites. On his website, SWHammond.com, you'll find a mix of his articles, essays, and personal memoirs that encompass pop culture, politics, philosophy and relati Sean William Hammond is the author of The Final Book: Gods and The Mixtape Manifesto: A Pop Culture Confessional . He is also a freelance writer contributing to music zines, adventure and lifestyle magazines, and new media technical websites. On his website, SWHammond.com, you'll find a mix of his articles, essays, and personal memoirs that encompass pop culture, politics, philosophy and relationships. SW's writing style, particularly within his commentary, is often compared to Chuck Klosterman with countless references to pop culture, especially music. His fictional writing—taking place in historical settings or by playing on modern headlines—makes use of common and relatable themes to drive home critical points about the human condition. Hammond's honest approach creates an easy camaraderie with the reader, then tests the bounds of emotion with sensitive subject matter. Philosophy, ethics, and virtue square off against a society struggling to find its way—with Hammond in the middle, twisting a knife or casting a lifeline. SW actively engages with his audience, continually making guest appearances at book festivals, pop culture events, and comic cons throughout the country. Hammond has been a guest on several talk shows and podcasts discussing writing, philosophy, and existentialism. He is also a panelist contributing to a variety of topics, most notable discussions include artificial intelligence, mythology, and science fiction. Fan experience is a priority for Hammond, and he appreciates those who interact and come out to these events. Hammond has a unique background as a music and sports industry professional. He has worked in the Commissioner's Office of Major League Baseball as a Marketing Coordinator, was an Assistant of Arizona Operations in the Kansas City Royals farm system, and operated Spring Training stadium audio for the Los Angeles Angels. He is also credited as a Marketing Representative for Sony Music Entertainment, a Senior Tour Manager for the Vans Warped Tour, and an intern at WAR Records / United Interests Management.